Over the last five years, more than a few smartphone manufacturers have been caught and shamed for trying to manipulate benchmark scores. That's why UL has clear rules for manufacturers that govern how a platform can interact with its benchmarking software. Earlier this week, AnandTech reported that several recent smartphone models from Huawei and its sub-brand, Honor, seem to be producing artificially high and misleading benchmark scores. Huawei is the second largest smartphone manufacturer in the world by volume according to IDC. After testing the devices in our own lab and confirming that they breach our rules, we have decided to delist the affected models and remove them from our performance rankings. Delisted devices appear unranked, and without scores, at the bottom of our popular list of the best smartphones. 3DMark scores from delisted devices should not be used to compare models. We tested each model with the public version of 3DMark, available from Google Play, and a private version of 3DMark that is not available to the public or manufacturers. 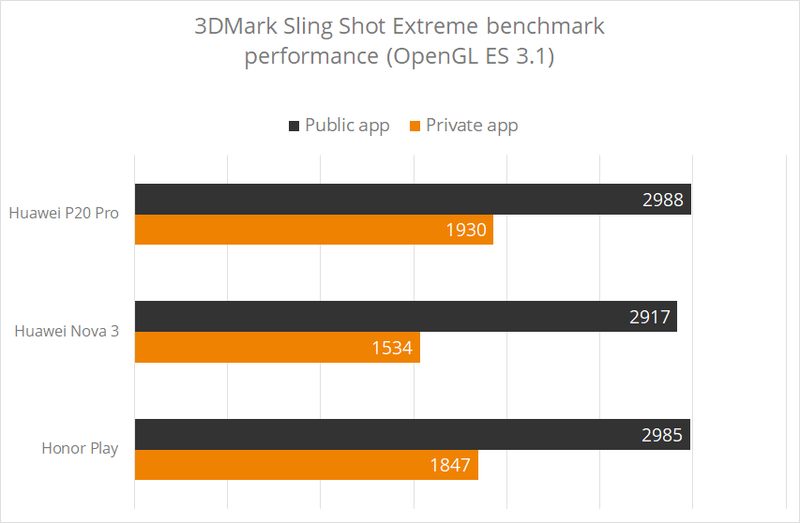 With the public 3DMark app, these devices appear to use a hidden "Performance Mode" that overrides the devices' usual power profile—see the AnandTech article for more details. "Huawei is planning to provide users with access to “Performance Mode” so they can use the maximum power of their device when they need to." Optional performance modes that can be set by the user—already available on some other manufacturers' models—are allowed under our current rules as long as they are disabled by default. A device must run the benchmark as if it were any other application. 3DMark is protected by rules for manufacturers. 3DMark has public documentation that explains what each test measures and how the scores are calculated. Our Best Smartphones list only shows publicly available models. We never list or leak unverified scores from pre-release hardware. 3DMark is a free Android benchmark app available from Google Play. Benchmark your smartphone then compare its performance with the latest models. With its unique charts, lists, and rankings, 3DMark gives you unrivaled insights into the performance of your device.